The pet food industry is dominated by four very large companies all telling you that there foods are the best for your cat or dog. It’s worth more than 2 and a half billion pounds a year in the UK. 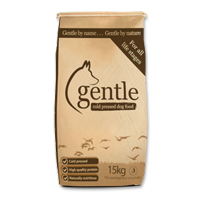 We have been selling pet food for 30 years now and have previously been taken by clever marketing by the big companies. Our shelves were dominated by the biggest brands in pet food. You’d expect us to know everything about pet food with this much experience but, as we found out, you’re never too old to learn new things. More recently we have been taking a closer look into what’s really in your pet food. To say we were shocked would be a big understatement. We knew of a couple of brands which maybe weren’t that good but we found the problem is far more wide spread. We found that some of the most heavily marketed brands only contained 4% of the meat stated on the pack.That’s right 4%. In a food designed for a carnivore this is totally unacceptable. Not only that, the ingredients were comparable to budget foods yet the price is more than double. Some super premium brands also failed to meet a good standard. This included breed specific foods and foods often recommended by Vets. These brands typically contained around 20-30% meat. This low meat content led us to believe that these companies are putting profit before pets. During our extensive research we came across the white paper report which is a must read for any pet professional such as trainers and Vets. This led us to rethink what we do and how we do it. Firstly we kicked out some of the biggest names in pet food such as Bakers, Pedigree, Royal Canin, Eukanuba and Hills Science Plan (to name a few) along with the financial benefits they came with. We replaced them with more independent brands that put the quality of their foods first such as Orijen, Acana, Gentle and Lovejoy’s offering upto 80% meat. We also introduced our own Premium Dog Food range with meat content of 26% at a fraction of the cost of a comparable brand. Also at Taylors Petfoods we now have the 'All About Dog Food' ratings of every food clearly displayed on the shelf edge. This combined with educating our customers has helped them to make more informed decisions about their pets diet. Taylors Petfoods now has one of the largest ranges of Raw dog and cat foods on the market today. The raw concept is just common sense and our customers understand that too. The biggest difference we have seen since our shake up is in our pets and our customer’s pets. Problems such as itchy skin, hyperactivity, ear problems and loose stools are now a thing of the past for many. We have found that by feeding them what they are designed to eat you unlock a wealth of health potential. Visit Taylors Petfoods yourself and see the difference.